Listen, if you’ve never been to the Tabasco factory outside of New Orleans, Louisiana, you should go. Not only will you get to taste Tabasco and watch a movie about Tabasco, you will learn about Tabasco: Specifically, that the sauce spends years in a wooden barrel, covered with salt, as it ferments. What happens to those barrels afterwards? Well, I don’t remember that part of the movie, but I do know that some of them are going to George Dickel up-north in Tennessee, where they are doing a crazy thing by finishing Dickel whiskey in the used pepper-packed barrels. This is made by taking rack Dickel (no age statement but probably Cascade Hollow’s youngest offering or below) and aging it in Tabasco barrels for an additional 30 days. You really can’t smell the Tabasco. Maybe a hint of prickliness that exceptionally sensitive drinkers might pick up, but by and large the typical trappings of Dickel dominate: fresh wood, spice, honey, and a hint of ash. The deeper you breathe, the sharper things get, with the chile finally coming forth on the palate. It’s instantly warming with a black and red pepper sharpness on the upper palate — then soothing with classic notes of caramel corn, vanilla ice cream, and butterscotch. Lots of sweetness to temper the heat; surely doctored. It’s all warming, not sharp, on the finish, though a certain vegetal character comes through, evoking the Tabasco proper. I’m still not sure if this is a crazy stunt or not, but let’s give credit to Dickel for aging this whiskey in real Tabasco barrels instead of just dumping chemical flavorings into the mix. 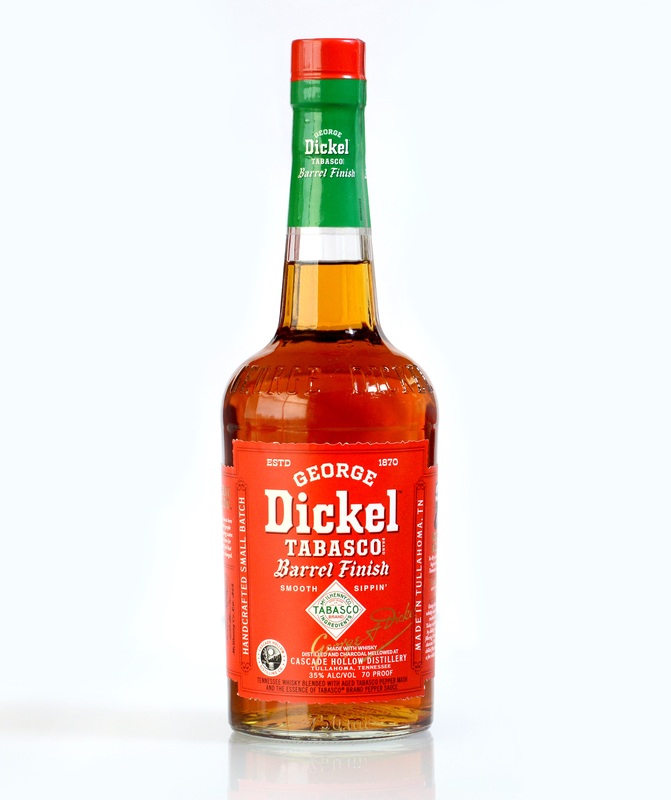 As exciting as Fireball can be on a Thursday night, I will give Dickel a nod for successfully creating an elevated version of a “spicy” whiskey. As far as pepper-flavored (not cinnamon-flavored) whiskeys go, it’s easily the best on the market. I’m pretty sure this is a stunt because Dickel’s new master distiller has already distanced herself from this project which started long before she did. Stunt or not, I don’t think the product is garbage. But for what it’s worth, I don’t think any master bourbon distiller is out there whip up a bunch of pepper flavored whiskey.